Encyklopedie ou dictionnaire raisonne des sciences, des arts et des metiers, edited by Denis Diderot and Jean le Rond d`Alembert (35 volumes, issued 1751-80, Paris). 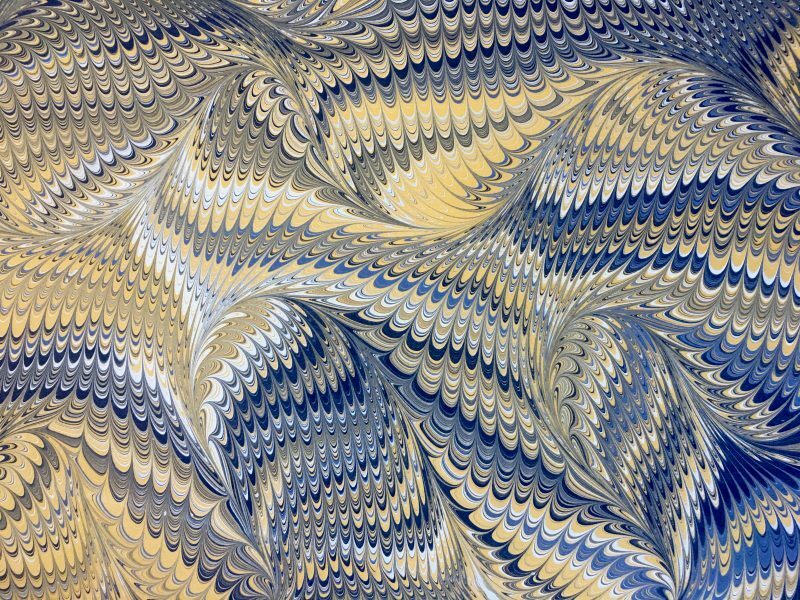 It is one of the techniques used to decorate paper. Its first examples can be found in 10th century Japan. 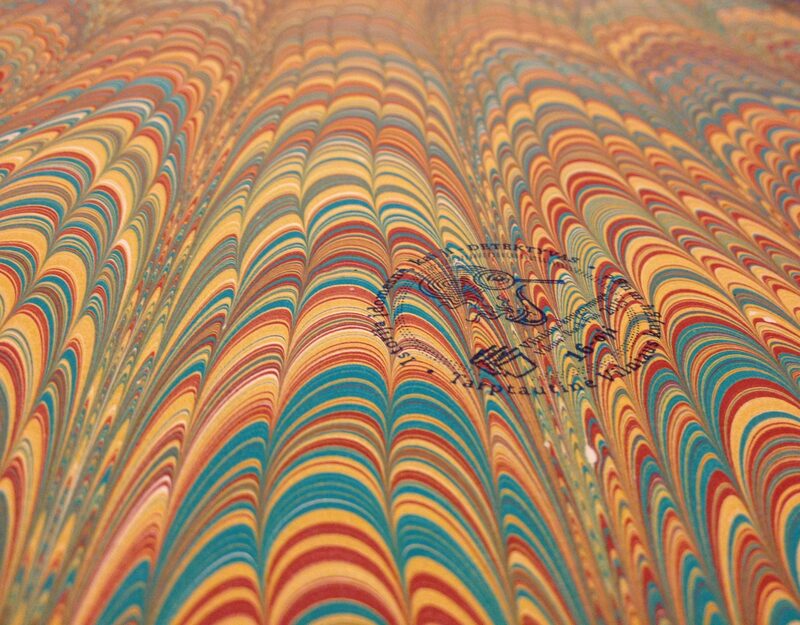 The first papers that were marbled using this technique came from Asia to Europe in the end of 16th century and in 17th century the paper was marbled using this technique in Italy, France and Germany. 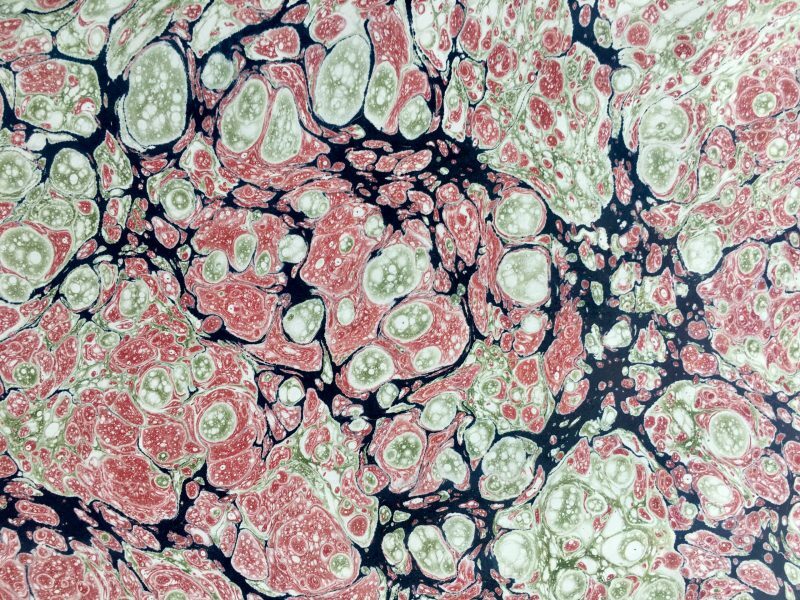 As in Europe, Lithuania might have used this technique to marble paper in bookbinding manufacturies that were based near universities, monasteries and manor houses. 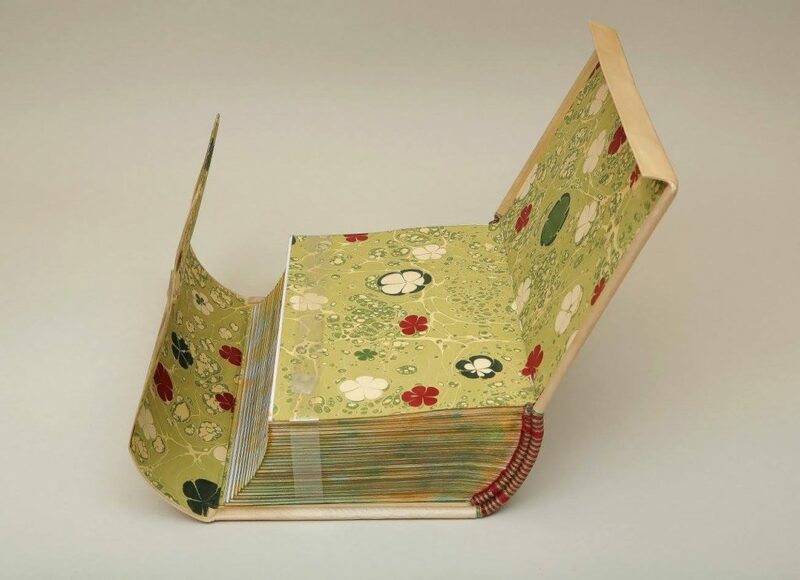 The main use of this paper was to decorate books and particularly its endpapers, covers and book sides. The paper was also used to decorate boxes for books, jewelry, watches and to decorate separate parts of the furniture. 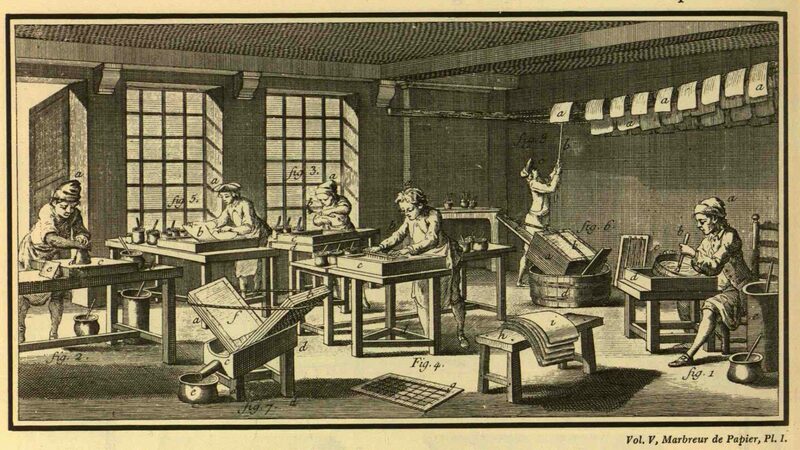 After industrial revolution, books became much more accesible for everyone. However it harshly affected the craftmans of ancient crafts. The facilities of old crafts were declining. The traditions of passing on the craftman’s knowledge and old recipes have become extinct. In the recent years, the ancient crafts have received a considerable interest. 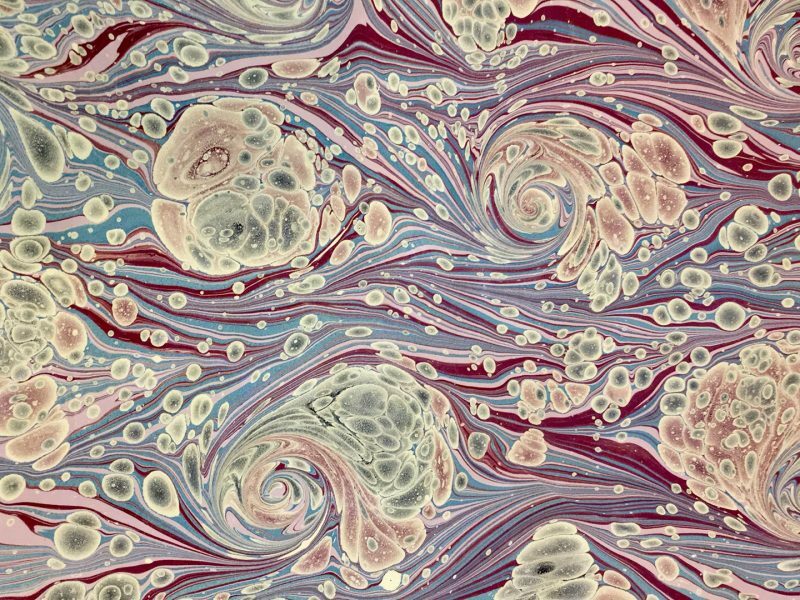 The ancient techniques of paper marbling and historic patterns are restored.